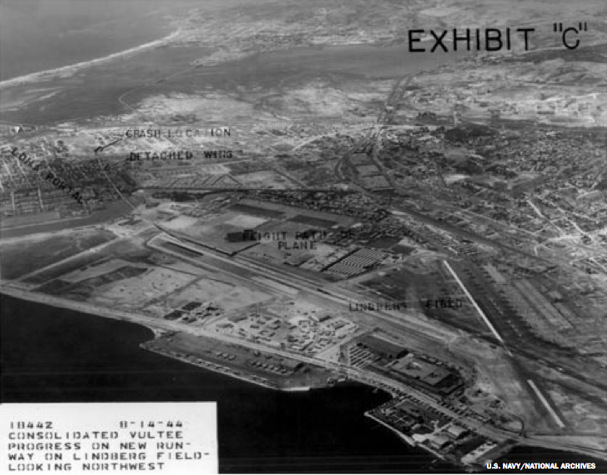 22 November 1944: At Lindbergh Field, San Diego, California, a brand new Consolidated Vultee PB4Y-2 Privateer, Bu. No. 59554, took off on its first test flight. A company crew of six men were aboard. Shortly after takeoff at 12:20 p.m., the left outboard wing of the airplane separated. The airplane immediately went out of control and crashed near a residential area in Loma Portal, a short distance west of the airfield. 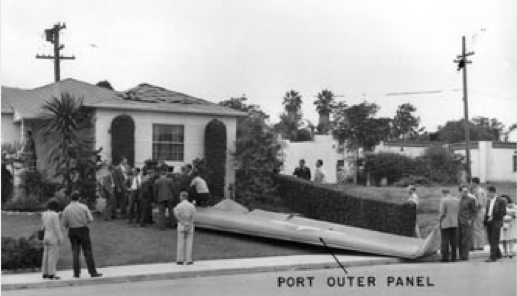 The wing panel struck the roof of a house at 3121 Kingsley Street. All six crew members were killed. The house was occupied but there were no persons injured inside. Members of the bomber’s flight crew included Marvin Rea Weller, Robert Vencil Skala, Clifford Polson Bengston, and Rans Raymond Estis. The wing section was recovered and the cause of the separation was quickly discovered. 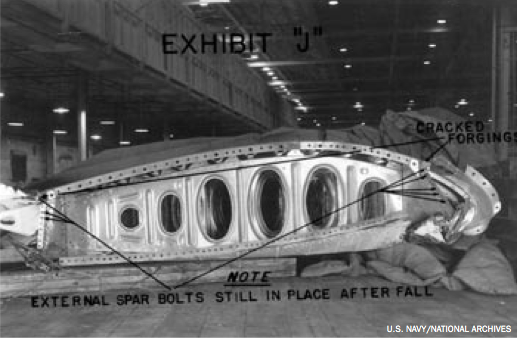 98 of the 102 bolts which secured it to the inner wing section had never been installed. Two workers who were responsible for installing these missing bolts, and two inspectors who had signed off the work as having been properly completed, were fired. The Consolidated Vultee PB4Y-2 Privateer was a long range heavy bomber produced for the United States Navy during World War II for patrol, anti-shipping/anti-submarine and bombing missions against Japanese installations on the remote islands of the vast Pacific Ocean area. 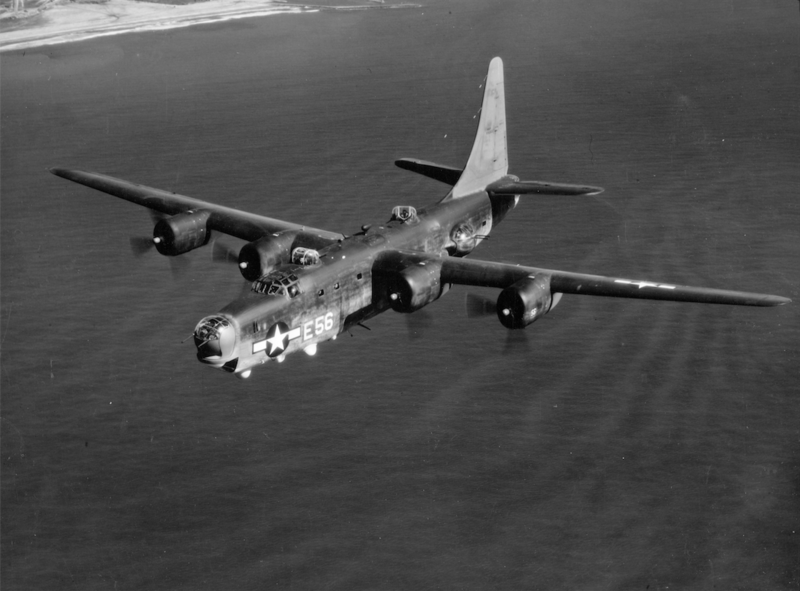 The Privateer was developed from the Consolidated B-24 Liberator (which was designated PB4Y-1 in U.S. Navy service). The PB4Y-2 was normally operated by a combat crew of 11–13 men. It was 74 feet, 7 inches (22.733 meters) long with a wingspan of 110 feet (33.528 meters) and overall height of 30 feet, 1½ inches (9.182 meters). The bomber had an empty weight of 39,400 pounds (17,872 kilograms) and its maximum takeoff weight was 64,000 pounds (29,030 kilograms). The PB4Y-2 was powered by four 1,829.39-cubic-inch-displacement (29.978 liter) air-cooled, supercharged Pratt & Whitney R-1830-94 two-row 14-cylinder radial engines. The turbosuperchargers installed on B-24s were deleted, as high altitude operation was not required by the Navy. The R-1830-94 had a Normal Power rating of 1,100 horsepower at 2,600 r.p.m. to 7,500 feet (2,286 meters), and 1,000 horsepower at 2,600 r.p.m., at 14,700 feet (4,481 meters). The Military Power rating was 1,350 horsepower at 2,800 r.p.m. to 2,000 feet (610 meters), and 1,100 r.p.m. at 2,800 r.p.m. to 13,750 feet (4,191 meters). The engines drove three-bladed Hamilton Standard propellers through a 16:9 gear reduction. The R-1830-94 was 4 feet, 0.40 inches (1.229 meters) in diameter, 4 feet, 11.63 inches (1.515 meters) long and weighed 1,573 pounds (714 kilograms). The PB4Y-2 Privateer had a cruise speed of 158 miles per hour (254 kilometers per hour) and a maximum speed of 249 miles per hour (401 kilometers per hour) at 12,000 feet (3,658 meters). Its service ceiling was 18,300 feet (5,579 meters) and maximum range of 2,900 miles (4,667 kilometers). Defensive armament for the Privateer consisted of twelve .50-caliber Browning M2 machine guns mounted in six powered turrets. The maximum bomb load was 8,000 pounds (3,629 kilograms). The most distinctive visual difference between the B-24/PB4Y-1 Liberator and the PB4Y-2 Privateer is the substitution of a single tall vertical fin for the two outboard oval-shaped fins and rudders of the earlier design. Those two fins blocked the view of gunners as they scanned the skies and oceans. Testing by Ford, the major producer of B-24 Liberators, found that a single large vertical fin also provided better stability. A second identifying characteristic of the Privateer are the gun turrets. A large, spherical, Engineering and research Corporation (ERCO) ball turret was installed in place of the B-24’s Emerson turret at the nose. 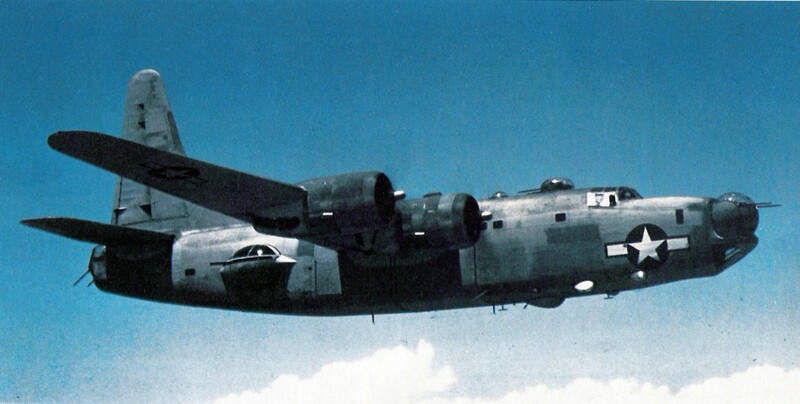 Two Martin turrets were placed on top of the fuselage rather than one on the B-24. Two teardrop-shaped ERCO power turrets replaced the open waist gun positions of the Liberator and because they could converge directly under the bomber, eliminated the need for a belly-mounted ball turret. 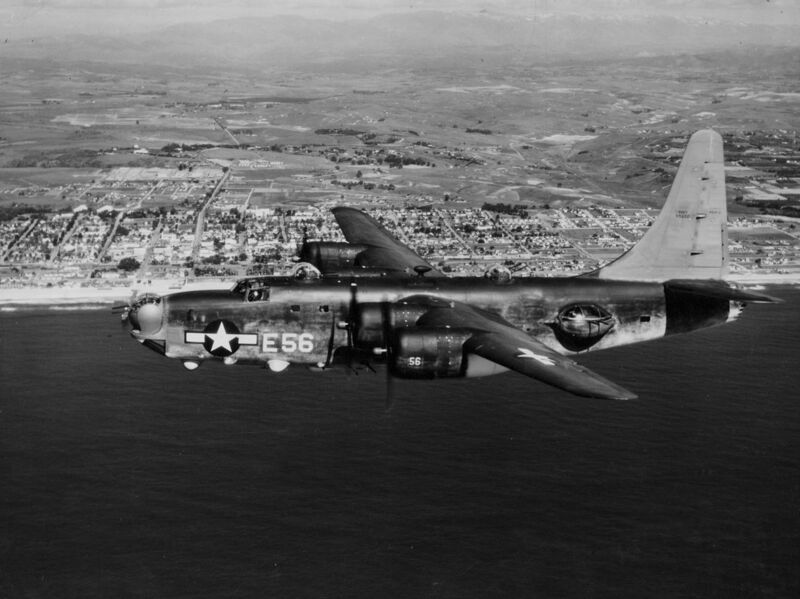 739 PB4Y-2 Privateers were accepted by the U.S. Navy in 1944–1945. Bu. No. 59544 was deleted from the production contract and payment for that airplane was deducted from the total paid to Consolidated Vultee. The Privateers remained in service with the U.S. Navy until 1954 and with the United States Coast Guard until 1958. Five remain airworthy today. The pilot of the Privateer was Marvin Rea Weller. Weller had a ruddy complexion, brown hair and eyes, was 5 feet, 10 inches (1.78 meters) tall, and weighed 143 pounds (65 kilograms). He was born at Augusta, Virginia, 8 August 1919, the fourth of five children of Walton Tobias Weller, a farmer, and Mayna Rea. Weller graduated from Mt. Sidney High School in Fort Defiance, Virginia, and then attended the Augusta Military Academy, 1937–38. 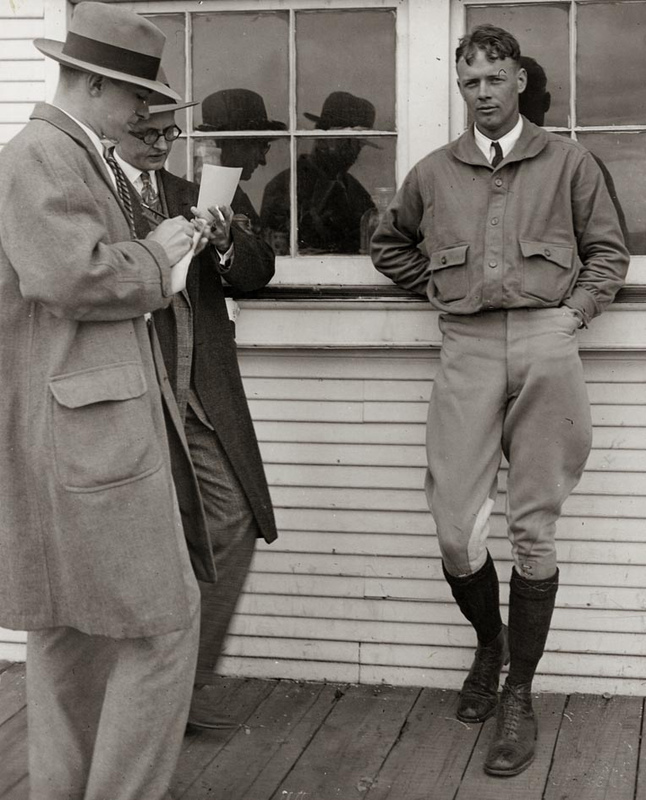 Marvin Weller was taught to fly by H. P. Grim, Jr., at Staunton Airport, a small airfield five miles northeast of Staunton, Virginia, in 1937. He was then employed as an assistant instructor and flew for a locally-based airline. 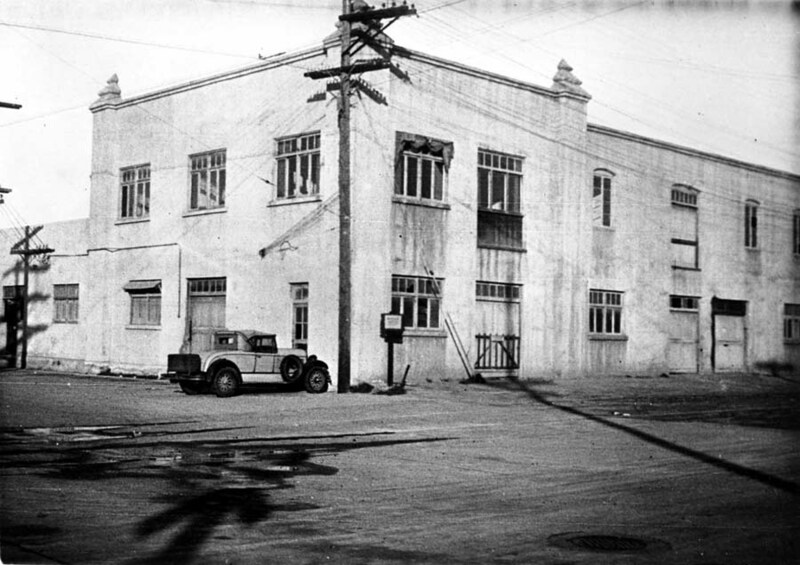 Later, Weller worked as a flight instructor at Georgia Aero Tech in Augusta, and the Ryan School of Aeronautics at San Diego, California. 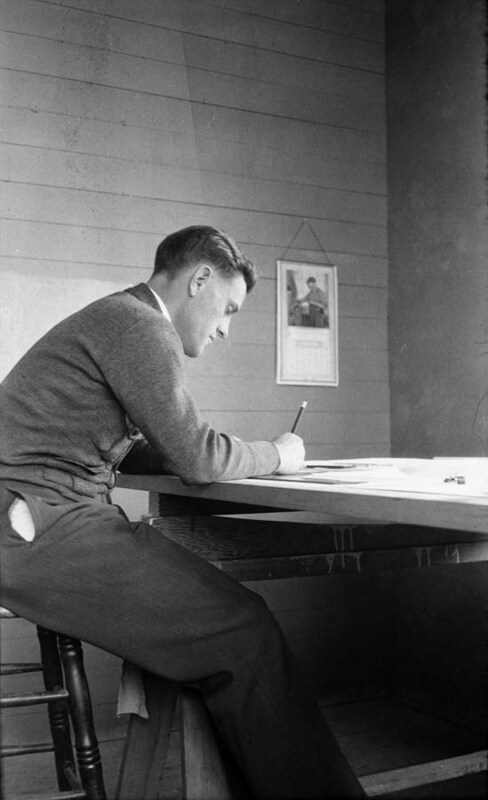 Both schools provided basic and primary flight instruction for the U.S. Army Air Corps. Weller married Miss Audrey Lorraine Brubeck of Staunton, 27 April 1941, at Fort Defiance, Virginia. They lived in San Diego. Marvin Weller had been employed as a test pilot and aircraft commander by Consolidated-Vultee for two-and-a-half years at the time of his death. The funeral of Marvin Rea Weller was presided by Rev. J.M. McBryde, who married Mr. and Mrs. Weller three years earlier. His remains were interred at the Thornrose Cemetery, Staunton, Virginia. 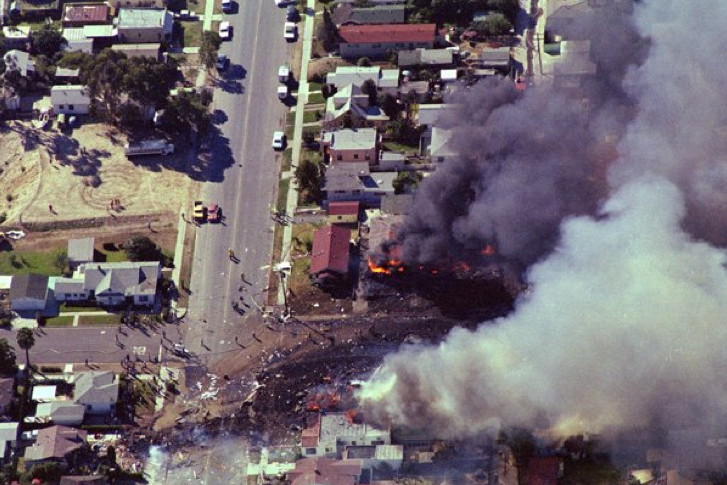 25 September 1978: At 09:02:07 a.m., local time, the worst aircraft accident in California history occurred when a Boeing 727-214 airliner, civil registration N533PS, operated by Pacific Southwest Airlines (PSA) as Flight 182, crashed at the intersection of Dwight Street and Nile Street in the North Park neighborhood of San Diego, 4,830 meters (3.00 miles) northwest of Lindbergh Field (SAN), today known as San Diego International Airport. Flight 182 was a regularly scheduled commercial airline flight from Sacramento, California to San Diego, with a stopover at Los Angeles. Captain James E. McFeron, a 17-year veteran of PSA, was in command. First Officer Robert E. Fox was the pilot flying the 727 on this leg. The Flight Engineer (also called the Second Officer) was Martin J. Wahne. Also in the cockpit, occupying the two “jump seats” were two off-duty PSA captains. Four flight attendants were on duty in the passenger cabin along with 126 passengers, which included 30 PSA employees. In clear weather and early morning sunlight, the airliner was on an visual approach to Lindbergh. The 727 passed over the Mission Bay VORTAC (MZB), a navigation aid 3.4 miles (5.5 kilometers) northwest of the airport, and turned left to a heading of 090° to intercept the downwind leg of the approach. Detail of current aeronautical chart of airspace around San Diego International Airport (Lindbergh Field), center near bottom of image. Montgomery field is at the upper right. Ahead of the 727, a single-engine light airplane, a Cessna 172, N7711G, with an instructor and student aboard, had made two practice ILS approaches to Runway 9 at Lindbergh and departed to the northwest, returning to its base at Montgomery Field (MYF), 6.4 miles (10.3 kilometers) north-northeast of SAN. Radar tracks show that N7711G initially maintained the assigned heading but after about one minute, turned 20° right to 090°, the same heading as that of Flight 182. First Officer Fox called for the wing flaps to be lowered and then at 09:01:31 he asked for the landing gear to be lowered. At 09:01:38, Fox said, “There’s one underneath [pause] I was looking at that inbound there.” Flight 182 was now descending through 2,600 feet (793 meters). 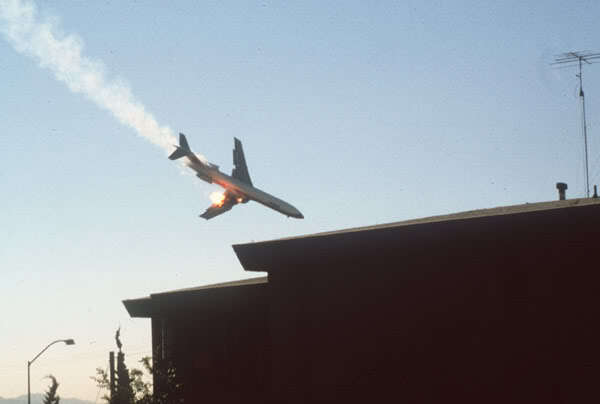 At 09:01:47, the Flight 182’s Cockpit Voice Recorder picked up the sound of the collision. 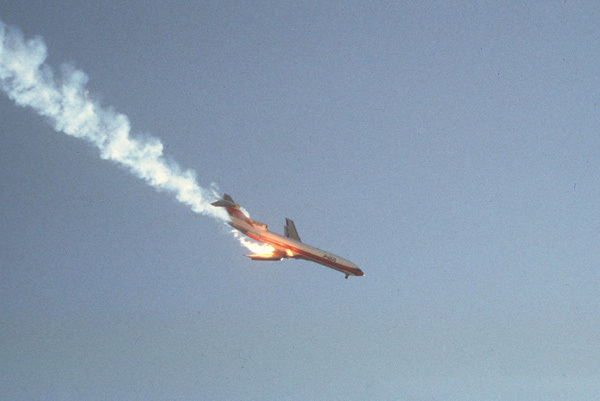 The Boeing 727 struck the Cessna 172 from above and behind, destroying it. The airliner was heavily damaged and on fire. 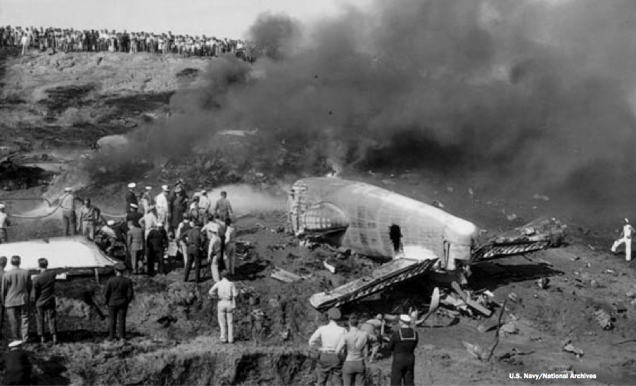 With the flight controls damaged, Flight 182 rolled and turned to the right. On a heading of approximately 200°, it crashed into residential neighborhood in a 300 mile per hour (483 kilometers per hour), 50° dive. According to seismographs at the Museum of Natural History, San Diego, the impact occurred at 09:02:07 a.m., Pacific Daylight Savings Time (16:02:07 UTC). The largest piece of the Cessna impacted six blocks away, near 32nd Street and Park Avenue. 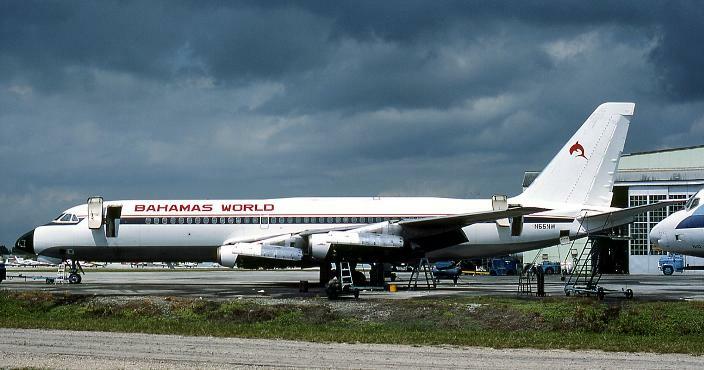 All 135 persons aboard the 727, both persons on the Cessna, and seven persons on the ground were killed. Another nine persons on the ground were injured. Twenty-two homes in a four-block area were destroyed or damaged. 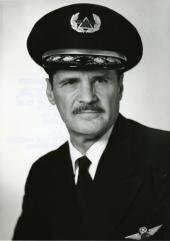 The Pilot in Command of Flight 182, Captain James E. McFeron, had been employed by Pacific Southwest Airlines since 1961. He held an Airline Transport Pilot Certificate and was type-rated in both the Lockheed L-188 Electra and the Boeing 727. He had a total of 14,382 flight hours, with 10,482 hours in the Boeing 727. 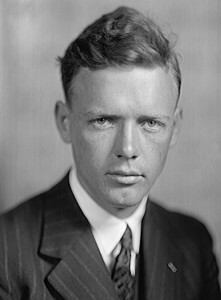 First Officer Robert E. Fox, Jr., also held an ATP certificate. Of his 10,049 flight hours, 5,800 were in the 727. He had been with PSA for 9 years. 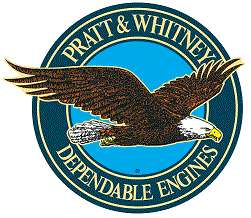 Flight Engineer Martin J. Wahne had worked for PSA for 11 years. He had 10,800 hours, with 6,587 hours in the Boeing 727. The Pilot in Command of the Cessna was Gunnery Sergeant David Lee Boswell, U.S. Marine Corps, who was stationed at Camp Pendleton, north of San Diego. Gunnery Sergeant Boswell held Commercial Pilot and Flight Instructor certificates, with Airplane—Single– and Multi–Engine Land ratings. He was receiving instrument flight instruction to apply for an Instrument Rating. Boswell had 407 total flight hours, and had flown 61 hours in the previous 90 days. The Instructor Pilot on board the Cessna was Martin B. Kazy, Jr., an employee of the aircraft owner, Gibbs Flight Center at Montgomery Field. He held Commercial Pilot and Flight Instructor certificates, with Airplane Single– and Multi–Engine Land, and Instrument–Airplane ratings. He had a total of 5,137 flight hours. Kazy had flown 347 hours in the previous 90 days. 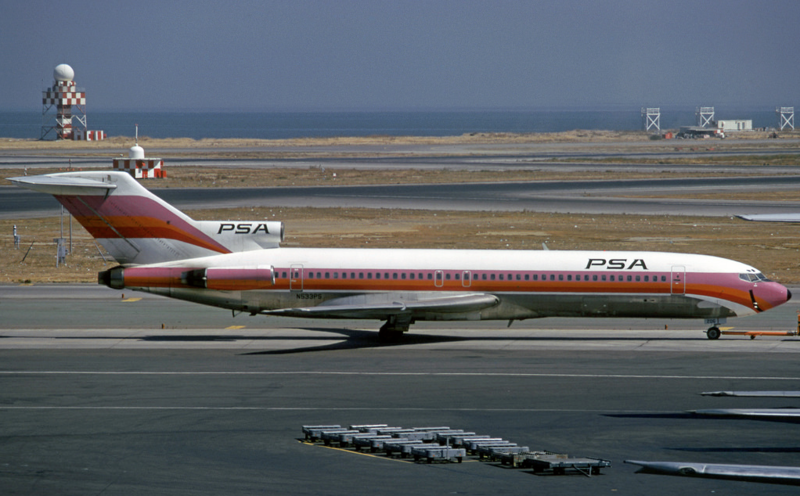 The aircraft operated as PSA Flight 182 was a Boeing 727–214, serial number 19688, which made its first flight 4 June 1968. At the time of the accident, the total time on the airframe (TTAF) was 24,088.3 hours. It had made 36,557 takeoffs and landings. The Boeing 727–200 series was a stretched version of the original –100 model. 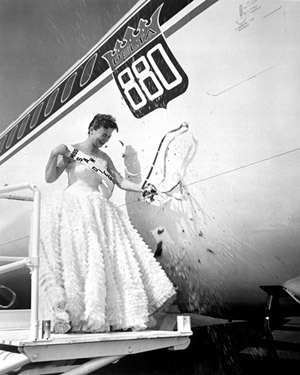 It was designed to be operated by a flight crew of three, and could carry up to 189 passengers. The –200 was 153 feet, 2 inches (46.685 meters) long with a wingspan of 108 feet, 0 inches (32.918 meters) and overall height of 34 feet, 0 inches (10.363 meters). The empty weight was 98,400 pounds (44,633 kilograms) and maximum takeoff weight (MTOW) was 184,800 pounds (83,642 kilograms). 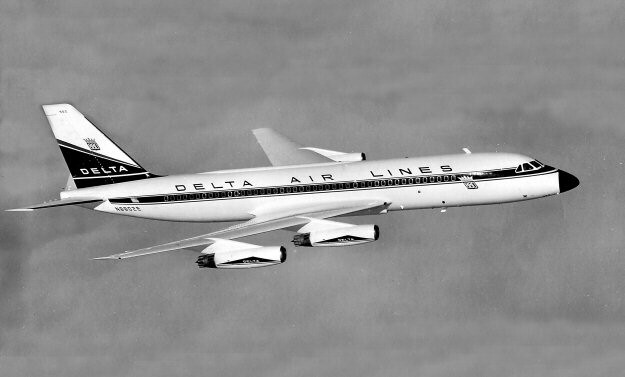 The airliner was powered by three Pratt & Whitney JT8D-9 low-bypass axial-flow turbofan engines, rated at 14,500 pounds of thrust at Sea Level for takeoff (5-minute limit), and 12,600 pounds of thrust, maximum continuous power. This gave the 727–200 a maximum cruise speed of 0.9 Mach (610 miles per hour, or 982 kilometers per hour, at 30,000 feet/9,144 meters). Its service ceiling was 42,000 feet (12,802 meters), and the maximum range was 1,956 miles (3,148 kilometers). 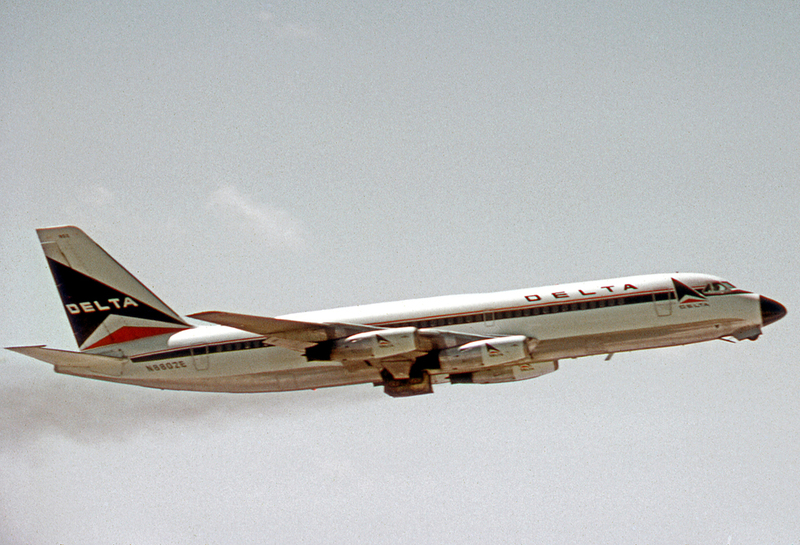 1,832 727s were built by Boeing between 1963 and 1984. 1,245 of these were 727-200s. Cessna 172 N7711G was a 1975 Cessna 172M, serial number 17265788. It had 2,993 total flight hours on the airframe (TTAF). 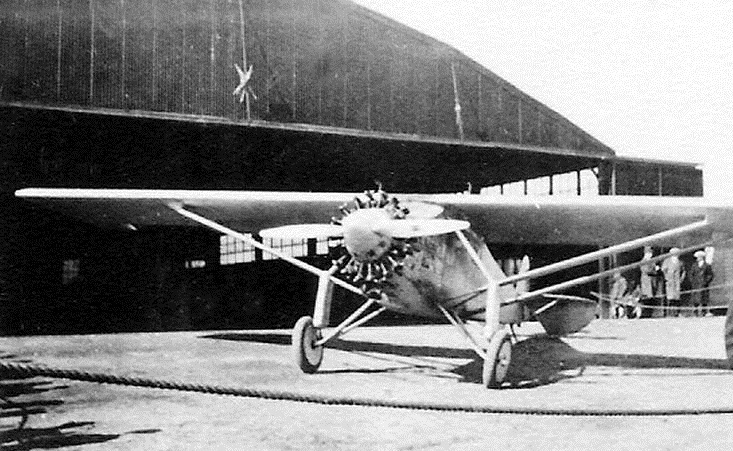 It was a single-engine, four-place light airplane with a high wing and fixed tricycle landing gear. 711G was painted white with “mustard” yellow trim. The 172M is 26 feet, 11 inches (8.201 meters) long with a wingspan of 36 feet, 0 inch (10.973 meters) and height of 8 feet, 9½ inches (2.680 meters). The empty weight is 1,350 pounds (612 kilograms) and gross weight is 2,300 pounds (1,043 kilograms). It is powered by an air-cooled, normally-aspirated 319.749-cubic-inch-displacement (5.240 liter) Lycoming O-320-E2D horizontally-opposed 4-cylinder direct-drive engine rated at 150 horsepower at 2,700 r.p.m. The engine drives a two-bladed McCauley fixed-pitch propeller with a diameter of 6 feet, 3 inches (1.905 meters). The engine installed on N7711G engine had 3,086 total hours since new (TSN) and 879 hours since overhaul (TSO). The 172M has a cruise speed of 138 miles per hour (222 kilometers per hour) at 8,000 feet (2,438 meters), and a maximum speed of 142 miles per hour (229 kilometers per hour) at Sea Level. The airplane’s service ceiling is 13,100 feet (3,993 meters) and its maximum range is 875 miles (1,408 kilometers). 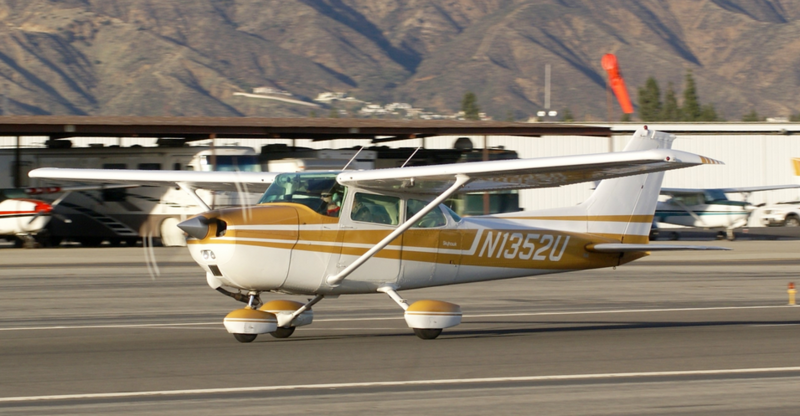 More than 43,000 Cessna 172s have been built, more than any other airplane type.